"... (a) forceful performance ... he is not a player given to wan dabbling, so there is plenty of muscularity and rhythmic sharpness on display, not least in the fiendish complexities of the virtuoso finale." "Mustonen creates a savage case for an unduly neglected sonata ... his superhuman agility allows him a freedom unknown to lesser pianists ... Mustonen is no less remarkable in Tchaikovsky's Seasons, scorning their gentler, more domestic virtues." 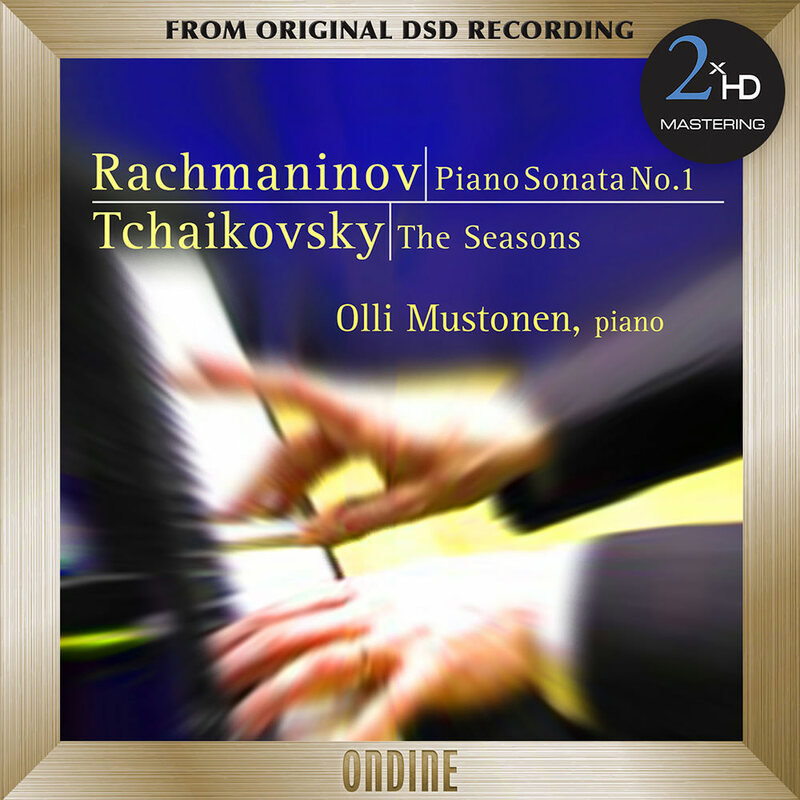 This recital from Olli Mustonen features Rachmaninov's seldom-performed first Piano Sonata, coupled with Tchaikovsky's The Seasons, a popular cycle of 12 intimate miniatures. Mustonen is known for delivering a fresh and visionary approach to standard repertoire, his glittering piano sound and technique faithfully rendered in superb audio quality on this recording.